This is the story of Doctor Mirko Beljanski and his research and work with two southern hemisphere plants which fight cancer and other diseases. The late Mirko Beljanski (1923-1998) was an accomplished French-Serbian biochemist and biologist. He spent his professional career as a Professor at the Pasteur Institute in Paris, where he studied the causes and mechanisms of gene activation, cell division, and tissue development in both normal and malignant states. While he was working at the institute, Professor Beljanski created the “Oncotest,” a sensitive analysis which allowed him to identify the carcinogenic potential of environmental toxins. Professor Beljanski also studied and worked with two cancer and disease-fighting plants: the Rauwolfia vomitoria (Rauwolfia) plant from Africa and the Pao pereira tree from the northern rainforest area of South America. He ultimately developed medicinal extracts of each plant which toxicity studies found to be safe and which naturopathic and integrative oncologists have used for several years. Since his death, with the support of The Beljanski Foundation, Inc., several publications by renowned academic institutions have confirmed the efficacy of Professor Beljanski’s extracts against different lines of cancer cells. Also noted were their synergistic benefits when used in conjunction with chemotherapy. Both extracts have been found to have a selective effect against cancer cells without affecting healthy cells. 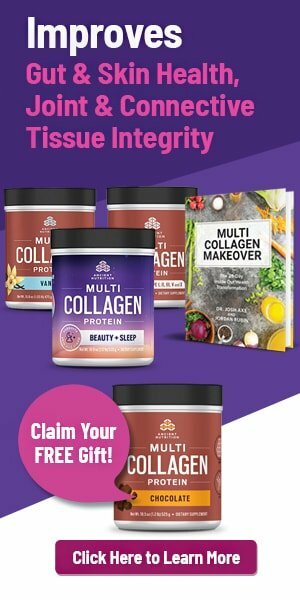 Most recently, they are being studied for their anti-inflammatory properties, which could explain at least part of why they are effective against cancer, since inflammation usually plays a key role in the development of cancer. 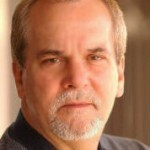 The late Marc Swanepoel, naturopathic PhD and alternative cancer pioneer, reported in his article “A Rational Theory of Cancer” that both Pao pereira and Rauwolfia vomitoria helped strengthen the weakened hydrogen bonds in the DNA double helix structure which are characteristic of cancer and which are responsible for the rapid cell division in cancer. Dr. Swanepoel ended up adding Pao pereira to his highly successful cancer protocol which is centered around an oleander-based supplement line he developed. Pao pereira, which first caught the attention of western medicine thanks largely to Mirko Beljanski, is a tree native to the northern part of the South American rainforest. It reaches a height of about 70 feet. The trunk ranges in color from light brown to yellow and the bark peels off continuously. Numerous bright flowers appear at the highest parts of the branches and the fruits are elongated berries with fleshy pulp and a bitter taste which contain from 5 to 15 seeds. The tree produces latex in the fruit and in the extremities of the branches. Pao pereira, which is in the Apocynaceae plant family, is known by a number of scientific and common names. In addition to Geissospermum vellosi, Pao Pereira is also scientifically referred to as Geissospermum, Geissospermum laeve, Tabernaemontana laevis, and Bergibita. Its common names include Pereiroá, Ubá-açú, Triguaaba, Camará-de-bilro, and Pinguaciba. Pao pereira is considered one of the 10 most useful medicinal Brazilian trees. This plant is part of Brazil’s history of natural products because the first alkaloid in the country was isolated from its bark by Ezequiel Corrêa dos Santos, the patron of Brazilian pharmacists. Herbal preparations of Pao Pereira have long been used by practitioners and oncologic patients in complementary and alternative medicine. It has been used for centuries in South American folk medicine to treat a wide variety of illnesses and health problems including cancer, malaria, digestive disorders, constipation, fever, and liver pain. It has also been used as a sexual stimulant. The bark is sold in powder or splinter form in South American open air markets, herbal stores, and newsstands to relieve indigestion and stimulate appetite. It is also used as an alternative treatment for malaria. What is Rauwolfia Vomitoria Used for? Rauvolfia vomitoria is a shrub or small tree up to 8 meters tall. Older parts of the plant contain no latex. The generic name Rauwolfia (also spelled Rauvolfia), commemorates a 16th century German physician, Leonhart Rauwolf, who travelled widely to collect medicinal plants. The specific epithet “vomitoria” refers to the purgative and emetic properties of the bark. (“Emetic” is a medicine or substance that causes vomiting.) Rauwolfia vomitoria is reported to combat the interference of aggressive and toxic substances, have a protective effect on cells, and promote healthy cellular regulation. In folk medicine, Rauwolfia is used to treat snake bites, fever, and nervous disorders. In Ghana and Nigeria, it is used as a purgative and an emetic. Children are treated in the same regions with this plant for cramps, jaundice, and gastrointestinal disorders. The bark of Rauwolfia can be made into a watery solution and used against parasites such as lice and scabies. a gynecological ointment for the treatment of menopausal disorders. Dried root of Rauwolfia has also been reported to be effective in psychiatric patients with minimum side effects. The prestigious cancer hospital Memorial-Sloan Kettering (MSK) notes that preclinical studies have found that the bark extracts of Pao pereira suppress the growth of prostate cancer and pancreatic cancer. They also found that cancer results were better when it was used along with the chemo drug gemcitabine and with the ovarian cancer drug carboplatin. MSK further reports that studies done in vitro and in animal models using the bark extracts indicate antimalarial and anti-nociceptive (pain relieving) effects, as well as anticholinesterase activity resulting in reversal of cognitive defects. MSK also noted that the anticholinesterase activity of Pao pereira was being explored as a potential treatment for Alzheimer’s disease. Based on the studies and traditional uses, it appears that the future may be bright for both the Pao pereira and Rauwolfia vomitoria plants in the treatment of cancer and possibly several other conditions. A study published in Oncology Reports in 2013 showed that the combination of Pao pereira and gemcitabine had a synergistic effect in inhibiting growth and inducing apoptosis of pancreatic cancer cells. In a study published in the online journal Biomed Central BMC Cancer in October 2010, researchers found that Pao pereira extract helped treat chemotherapy-induced thrombocytopenia, a condition where a deficiency in blood platelets causes bleeding into the tissues, bruising, and slow blood clotting. A University of Kansas study published in the March 2013 journal Oncology Reports found that an extract of Pao pereira inhibited pancreatic cancer and potentiated gemcitabine effects. In the Spring 2009 Journal of the Society for Integrative Oncology, a Columbia University study was published which found that an extract of Pao pereira suppressed pancreatic cancer cells. A University of Kansas study published in the September 2013 journal Pharmaceutical Biology reported that a Pao pereira extract potentiated the effects of carboplatin against ovarian cancer. A rodent study reported in the February 2012 edition of the North American Journal of Medical Science indicated that Rauwolfia vomitoria improved immunity and hematology. A study conducted by Columbia University and published in the July 2006 International Journal of Oncology reported on the anti-prostate cancer activity of a B-carboline alkaloid enriched extract from Rauwolfia vomitoria. A 2014 study by researchers at the University of Kansas and published in Integrative Cancer Therapies found that Rauwolfia vomitoria had anti-pancreatic cancer activity and that it could improve the effect of the chemotherapy drug gemcitabine. A clinical trial published in the April-May 2010 edition of Integrative Medicine: A Clinician’s Journal reported that both Pao pereira and Rauwolfia were found to protect prostate cell DNA. A University of Kansas study published in the December 2013 edition of the Current Therapeutic Research, Clinical and Experimental reported on the anti-tumor activities of Rauwolfia vomitoria extract and its potentiation of the chemo drug carboplatin against ovarian cancer. 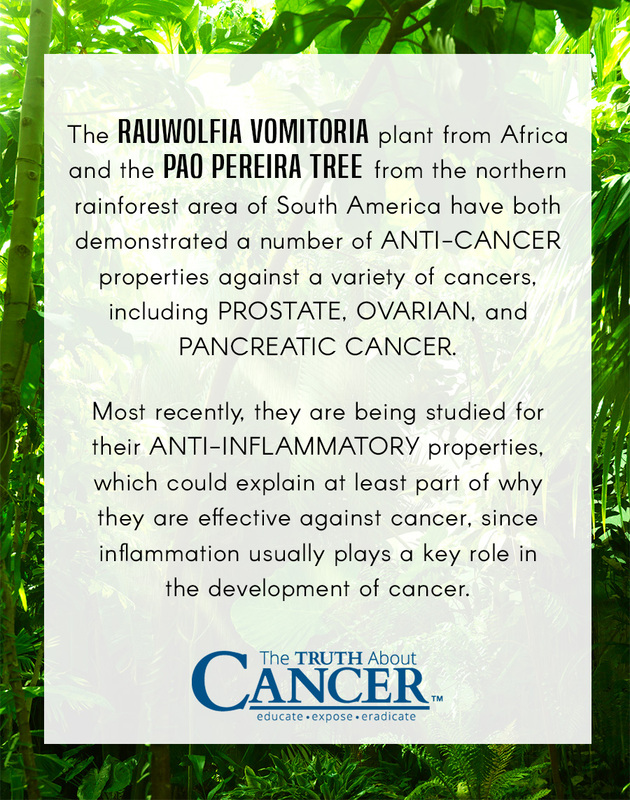 Both Pao pereira and Rauwolfia vomitoria have demonstrated a number of anti-cancer properties against a variety of cancers, including prostate, ovarian, and pancreatic cancer. 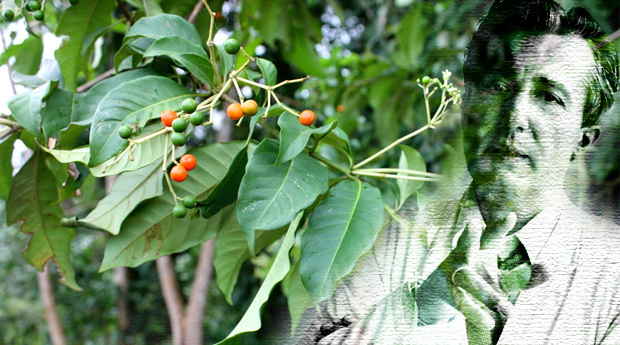 Pao pereira is considered one of the 10 most useful medicinal Brazilian trees. It has been used for centuries in South American folk medicine to treat a wide variety of health problems including cancer, malaria, digestive disorders, constipation, fever, and liver pain. Rauwolfia vomitoria is reported to combat the interference of aggressive and toxic substances, have a protective effect on cells, and promote healthy cellular regulation. In folk medicine, it is used to treat a wide range of conditions including snake bites, fever, and nervous disorders. There have been a number of published research studies into the effectiveness of Pao pereira and Rauwolfia vomitoria − both singly and in combination with each other, as well as in combination with chemotherapy. Featured Image Photo Credit: Dressler, S., Schmidt, M. & Zizka, G. 2014. African Plants - A Photo Guide. www.africanplants.senckenberg.de. - Forschungsinstitut Senckenberg, Frankfurt/Main, Germany. Anti-Inflammation: A New Activity for the Pao Pereira and Rauwolfia Vomitoria Extracts? Unilateral Childhood Ovarian Loss: An Indication for Contralateral Oophoropexy? Should we be concerned that it is called Rauwolfia VOMIToria ?